This March, Dine Sheffield returns to Sheffield city centre, giving foodies the opportunity to dine from just £5 at some of the city’s most-loved cafés, pubs and restaurants. Eight fantastic restaurants will be joining Dine Sheffield for the first time, including cinema café bars, hotel restaurants and some of Sheffield’s newest openings. Birdhouse Tea Bar and Kitchen, which opened just a few months ago, has already become a firm favourite by offering a huge range of Birdhouse Tea Company artisan teas alongside delicious brunch, lunch and evening menus. This Sidney Street tea bar also serves tea cocktails, beers from Abbeydale Brewery and an extensive list of wines and fizz. During Dine Sheffield, Birdhouse Tea Bar and Kitchen will be offering diners a sharing dessert platter and two glasses of fizz for just £15! Download your voucher today if you’re a fan of the more indulgent things in life. Another Sheffield newbie to join the Dine Sheffield line-up is Kerbedge, West One Plaza’s new burger joint. Kerbedge opened in Sheffield in February, and it’s the brand’s first restaurant outside of Hull, where Kerbedge began life in a 1979 Citroen HY Van in 2014. In Sheffield, Kerbedge is already building a great reputation for burgers, wings and breakfasts. During Dine Sheffield, Kerbedge is charging just a tenner for a burger, fries and a drink. With some burgers costing almost a tenner individually, that’s an absolute bargain! Download your voucher on the Dine Sheffield website and discover Sheffield’s newest burger joint today. Also at West One Plaza, and a relative newbie to Sheffield’s foodie scene, is OHM Sheffield, which is offering two courses for just £10. Choose from dishes inspired by street food, with a sophisticated twist. Whether it’s mozzarella sticks, burgers, pizza or mouth-watering deserts, OHM has something for all this Dine Sheffield. Download your voucher today. Make a night of it during Dine Sheffield, and download a voucher for three small plates for £10 to redeem at Showroom Cinema’s Café Bar. The ideal offer for a pre or post cinema meal, choose from the likes of crispy chicken wings, mac and cheese balls, salt and pepper squid and fancy chips. 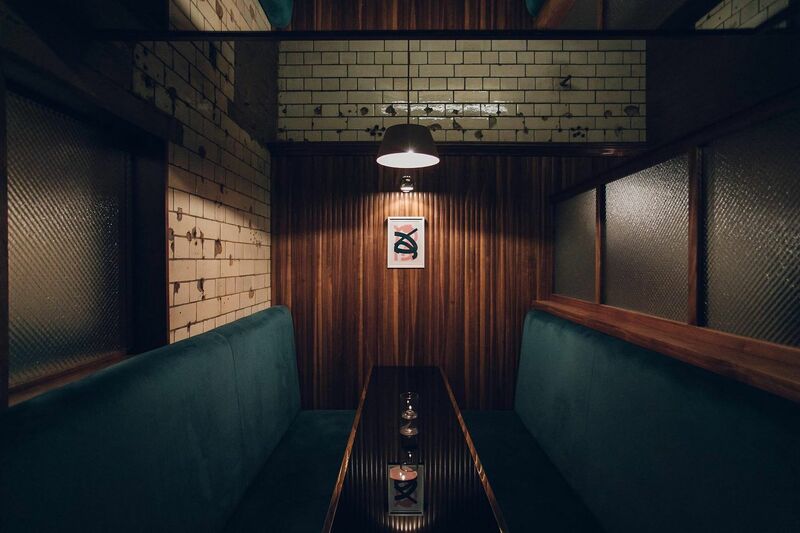 Not had a chance to try Public, Sheffield’s new bar in the Town Hall’s former public toilets yet? During Dine Sheffield, foodies will be able to try a little bit of everything from Public’s menu of posh bar snacks and small plates for £10. The menu changes weekly, but example dishes include pork and pistachio terrine, pear and ginger chutney, hasselback potatoes, pancetta, aged parmesan and blackberry and almond ice cream sandwich. Download your voucher today, and a little bit of everything will be yours! If you’re out enjoying a flutter during Dine Sheffield, save your winnings and download a voucher to enjoy two courses for £10 at Genting Casino’s Farenheit restaurant. Choose from the likes of goats cheese and pear terrine, rump steak, mushroom stroganoff and sticky toffee pudding. Alive After Five is delighted to welcome two of the city’s prestigious hotel restaurants to Dine Sheffield – The Old School Room at Leopold Hotel and The Yard at Mercure Sheffield. Both restaurants will be offering two courses for £15 during Dine Sheffield. Whether you’re visiting the city or just want to treat yourself to a fine dining experience in your own city, download your voucher today to enjoy fantastic food at great prices. There are around 40 restaurants taking part in Dine Sheffield, each offering set menus at with £5, £10 or £15. Expect flavours from around the world, options for dining with kids, fine dining restaurants and café favourites. See the full list of restaurants and offers available at www.dinesheffield.co.uk.